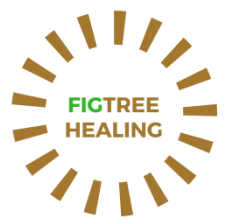 Welcome to the healing world of the Fig Tree! 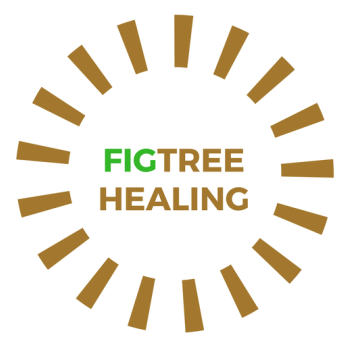 The Fig Tree and YOU - What have you got in common? Figs are unique in that the flower is enclosed inside the fruit. If you break a fig open you will notice hundreds of florets. You also have hundreds of florets inside of you, waiting to be discovered, activated and cherished. ​or begin their life by germinating in rocky crevices! For us to grow, it is important to explore our roots, to dive deeply into the shadow and the light, integrating all. Most of us have grown up in hardy territory, depleted of nutrition like touch, unconditional love and acceptance. It’s time to allow healing of those wounds. Aerial roots grow down from branches and take up nutrients and moisture from the air. Eventually the roots grow into the ground. Find out how to take in the infinite nutrients that universal life force provides on a constant basis and grow your nourished roots firmly into the ground. The aerial roots thicken and become what is commonly called buttress roots, strong roots supporting the branches, making for the most amazing structures and shapes! You will also grow in strength and support all your different bodies with your strong new roots. You are turning into the most amazing structure and shape! Some species of fig trees can grow so large it can appear as though one tree is many and can cover huge areas. Are you ready to integrate all aspects of you, to bring all parts of you together to make you whole and heal? I am inviting you to journey with me, as high and as deep as you are ready to. I am here for you and holding space for your Revirgination, your rewildment, your return to wild innocence and ecstatic living and loving! ​The possibility of ultimate transformation to wholeness and your fullest potential is right at your 'roots', it is your birthright! Reclaim it!